Grey's Anatomy: All Time Favorite. Almost everyone has a sheer love for a specific television show which makes them leave all the chores in the world and stay glued in front of the television. Don't know about everyone, but I'm sure that's the case with me. For those of you who haven't yet heard of this fantastic show, the entire show is based in Seattle to preview the lives of doctors (attendings, residents and of interns) of the hospital. 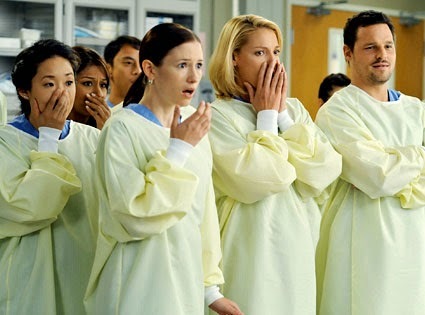 Meredith along with 4 other interns (Christina, Izzie, George and Alex) start the show and by season 6, only Meredith, Christina and Alex are left. If you ask me? 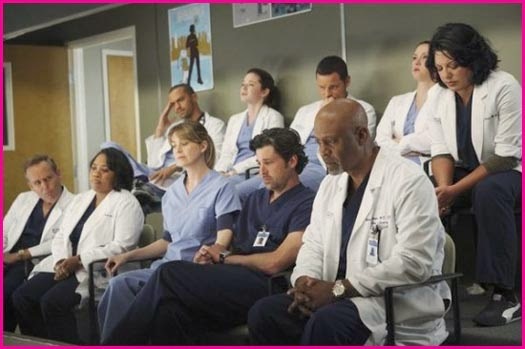 I wish they were all there in the show till season 10. P.S- You can't get your eyes off him. 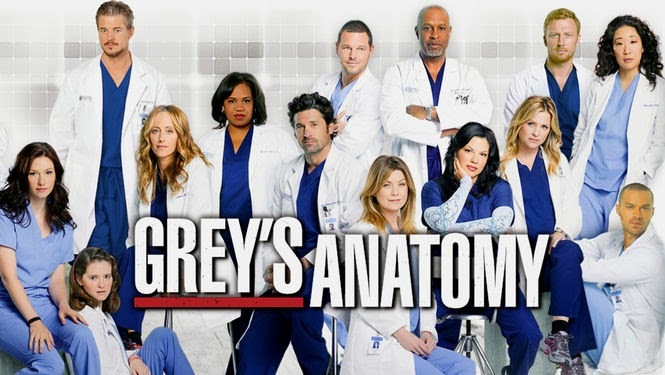 The show is a non fiction one which shows the daily happenings in the Seattle Grace Hospital and how the surgeons manage to deal with their personal lives along with their professional ones. 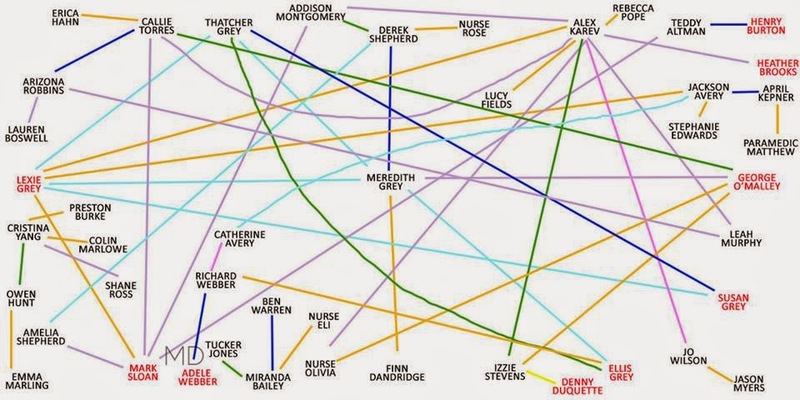 According to me, the show exhibits the lives of 15-20 surgeons who have messed up lives connected to every other person of the hospital. My personal favorite is Christina Yang (Sandra Oh) She's the miss know it all. Perfect in all surgeries, she is blunt, fast and her acting is breath taking. The show rocks due to her but sadly with the end of season 10, also comes a goodbye for Christina. The show is a must watch. I'm an addict of this amazing creation. Every blog needs publicity. You're probably writing for passion, awareness, fame or hobby in a particular thing and for that you need to socialize for others to know what lays on your blog. It is very easy to guess when a blogger is socializing. You get to hear fierce discussions and posts describing what exactly your blog is about. Who doesn't know this fantastic thing? Even a movie (The Social Network) was made with regard to Facebook. For bloggers, Facebook works really well as it spreads information and feeds in seconds. Before you know it, your post is seen and liked by many people. If you haven't tweeted yet, you haven't seen the world till now. From celebrities to comedians, every known and unknown person has a twitter account. Twitter helps in learning about tips, gossip and day to day happenings. Bloggers can meet new bloggers through twitter. You can also take part in contests through Twitter. Share what you feel by a single tweet now. The one website which has the magic of giving your blog a rise in the pageviews. Google, the well known website since forever can really grow your readers and followers. Google is safe and it goes worldwide. You get to see thousands of other bloggers, read their blogs and even make a new friend through this website. There is also a ranking list for the blogs. The bloggers get the perks of contests, awareness on different topics and you even get to go on indiblogger meets. I'm sure by now all of the fashion bloggers are familiar to this website. If not, then you're soon to discover the breath taking website which provides you with groups to be a part of, tips, blogging ideas, meets, fashion related information and a lot more. You're gonna have the time of your life while being a member of the IFB society. They are known by the whole world's fashion bloggers. One of the perks of using the website FQuotient is the fact that along with creating your own spreads, you also get the advantage of seeing the best trends created by Fquotient itself. Also known as skant, a skort is a pair of shorts which gives the look of a skirt. Totally in vogue, skorts are hitting the trend in large numbers. As it is new in fashion, you can totally be prepped to be the trend setter by buying a pair or two of these. Trying creating your own spread of skort through Fquotient now. These three spreads created by FQuotient appealed the most to me. Moreover, they are going as fast as the fashion is in creating the spreads and giving the followers more knowledge about the trend. For fashion enthusiasts when a girl is walking by them, wearing a black tee with a pair of black jeans, all they wonder is,"who wants to look like a Dementor (Harry Potter- dark shallow creatures) when you can wear a colorful top with those pair of black jeans." 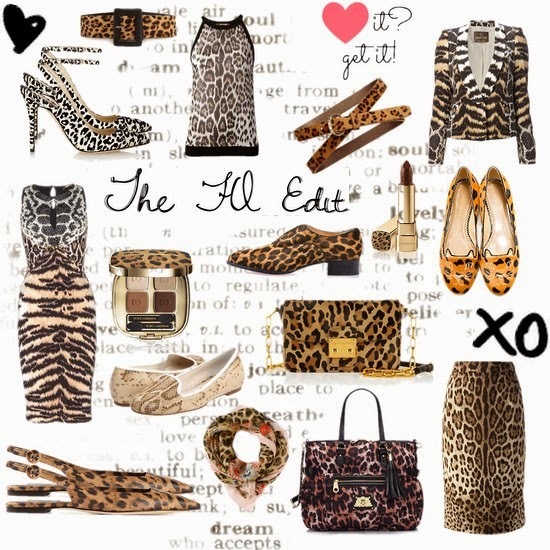 FQuotient is a website for fashion lovers who know how to mix-match and create something totally new and trendy. The website helps you play with the clothes, create a new look more than 100 times and even share it around. It also gives you knowledge about different people's fashion sense and taste. If you earlier believed that a tank top would only go with black jeggings, you can find it go with a pair of white shorts too. The website also makes you familiar with the price of the item and the store from which it can be purchased. So it's time to get all handy and start checking out the website. The website is a total hit and you'll be having the time of your life browsing it.